I am a beach person, but I haven’t spent much time exploring the beaches around New York City because I prefer warm water. However, since I haven’t had time to make it to the Caribbean recently I thought I should check out more of the local beaches. Last summer I went to Sandy Hook, NJ so I wanted to visit one of the beaches in Long Island. I had heard good things about Long Beach, Long Island and it would be an easy day trip, so we decided to give it a shot. After, my visit I thought it would be helpful if I shared the pros and cons I experienced. Overall though, I do think it is a great place to go for a summer day trip. Please note that there is a Long Beach Island in New Jersey, which I have not been to yet. Everyone having a great day at the beach! It is easy to get to Long Beach from NYC. 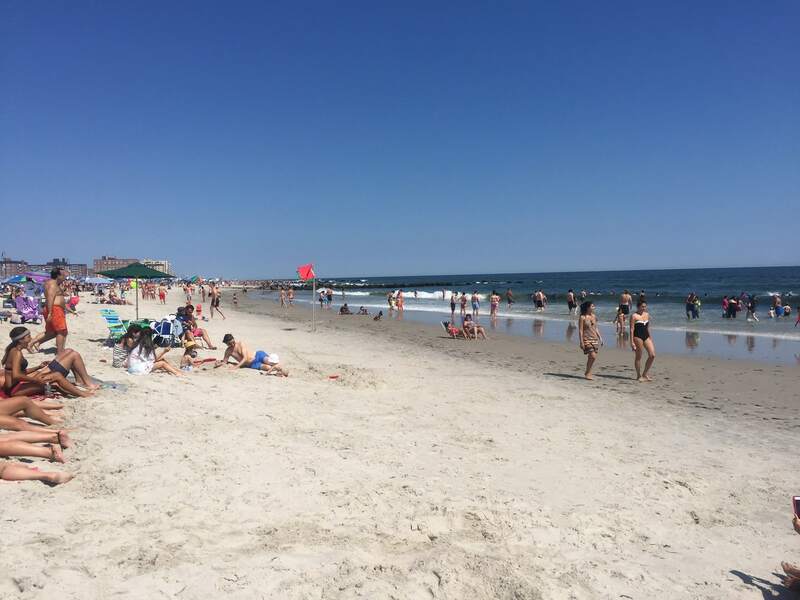 The train ride from Penn Station takes about an hour and then it is an easy 10 minute walk from the Long Beach LIRR station to the beach. On the weekends, the trains run about once an hour. Get to Penn Station early to allow for time to buy your tickets, so you don’t miss your train like we did! Also, you can save on beach admission if you buy the beach getaway package through the Long Island Railroad – unfortunately, I found this after I went! An individual round-trip train ticket is $19 on the weekends and admission to the beach is $15, but the package is $23.75 per person. That saves you $10.25 per person. The beach is very long with beautiful fine sand. 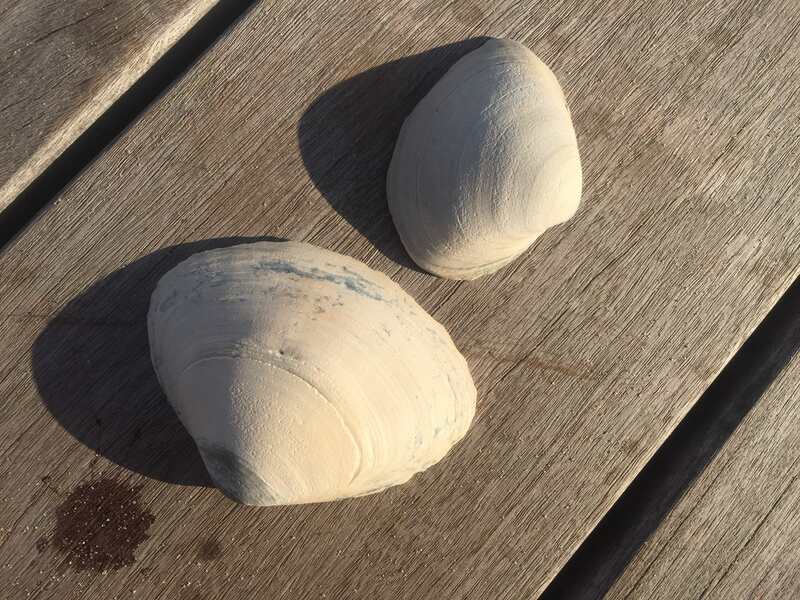 We even found some shells. We really enjoyed our walk along the beach and it would also be great for running. The water is clear and there were plenty of people enjoying the waves. There are lifeguards and they were definitely watching. The lifeguards only allowed people to swim in areas close to each lifeguard chair. When the lifeguards went off duty at the end of the day, they made sure to get everyone out of the water. There are several bars and restaurants on the street by the train station, many had brunch and drink specials. There was also an Italian Ice place. I saw carts on the boardwalk selling ice cream, snacks, and drinks. There is a boardwalk and you can rent bikes if you like or just walk. There were also benches along the boardwalk where you could relax and people watch. We just laid on our towels on the beach but there are chairs and beach umbrellas for rent if you prefer. They had volleyball courts. I didn’t play but it was fun to watch. For more ideas of places to visit in the area, check out this post about the places you can’t miss on Long Island. 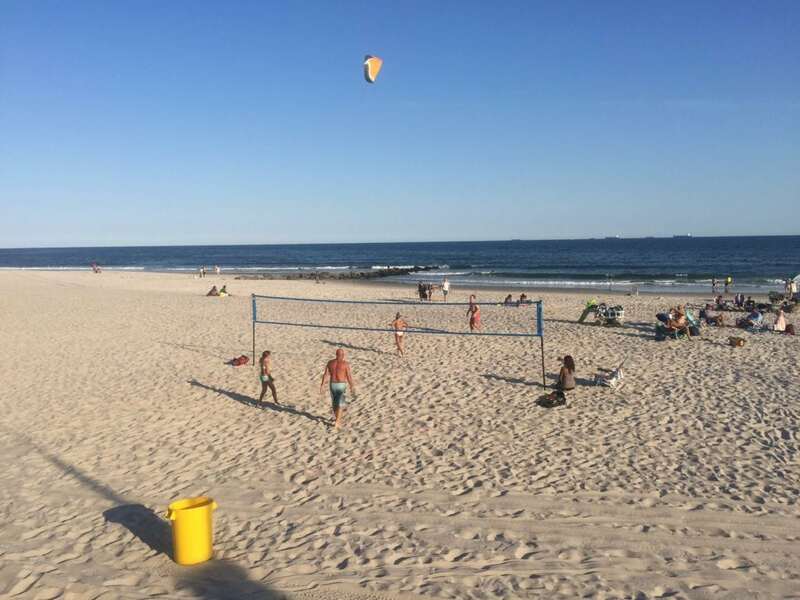 If you didn’t purchase the LIRR Long Beach package, you must buy a Long Beach NY beach pass for $15 per person to get on the sand. We bought these cards which were a similar thickness to a credit card that were punched as a receipt. You are supposed to carry the card with you at all times, but after entering we were never asked to show it. The water is a little cold for my taste. Since Russell is used to going into the North Sea in England, he loved it. The water can be rough. The lifeguards were very strict. At one point, I noticed there was a lifeguard standing at the water’s edge in addition to the one in the chair. We did not see any surfers when we went, but maybe they go earlier? The beach was crowded, but since it is a long beach, you can easily find some space. There is really limited outdoor seating at the bars and restaurants nearby. I found this a little odd, but I guess it is good to take a little break from the sun. Driving to Long Beach is not recommended because traffic can be bad, so try to use the LIRR. All in all, we enjoyed ourselves and it was a nice relaxing, easy getaway from NYC. 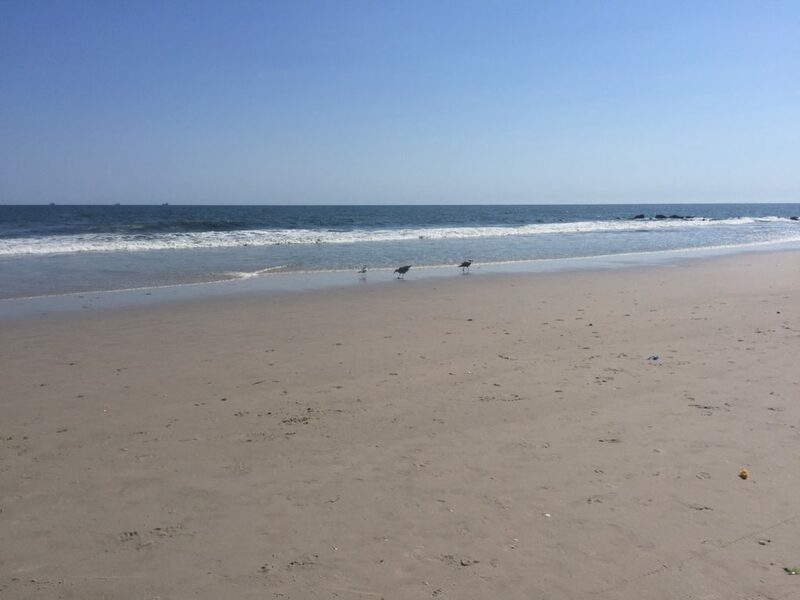 What is your favorite beach around NYC? Oh and don’t forget your sunscreen! Save money by purchasing the LIRR Long Beach getaway package, but make sure to get to Penn Station early as there may be a long line to get tickets. You could also buy in advance at Penn Station but tickets are not available online. There are lots of options for exercising at Long Beach – swimming, biking, running, walking, and volleyball. 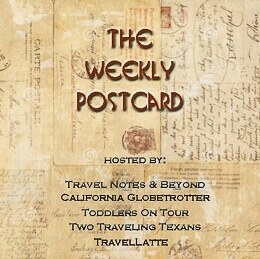 We are happy to co-host the Weekly Postcard Linkup and invite everyone to join us and share their travel blog links following the directions below. For those of you that have not done a linkup before, please check out our frequently asked questions about the Weekly Postcard. Feel free to reach out to us if you have other questions. NextThe Best Pintxos Cooking Class Ever! I was there a two weekends ago. We drove, which was a cluster getting off the island along with everyone else. While finding parking upon arrival was when I saw the LIRR station ? Public transit is definitely the smarter decision if you can get to a LIRR station. The descriptions are spot on and a great relaxing place to be — quick and easy getaway from the city for a day. Nick – Good to know. I will add that to my post. Thanks for sharing and glad you enjoyed it. I have never been- but I would go in the water 🙂 My favorite is Fire Island! Thanks Teju. Fire Island is great too. I did a summer share there years ago, need to go back. Haha! Unfortunately there are many beaches in the area that do charge. I am a beach person!!! I have always toyed with visiting NYC in the winter for the pretty Xmas lights and NYE fireworks or summer for my birthday … I think I have a winner! 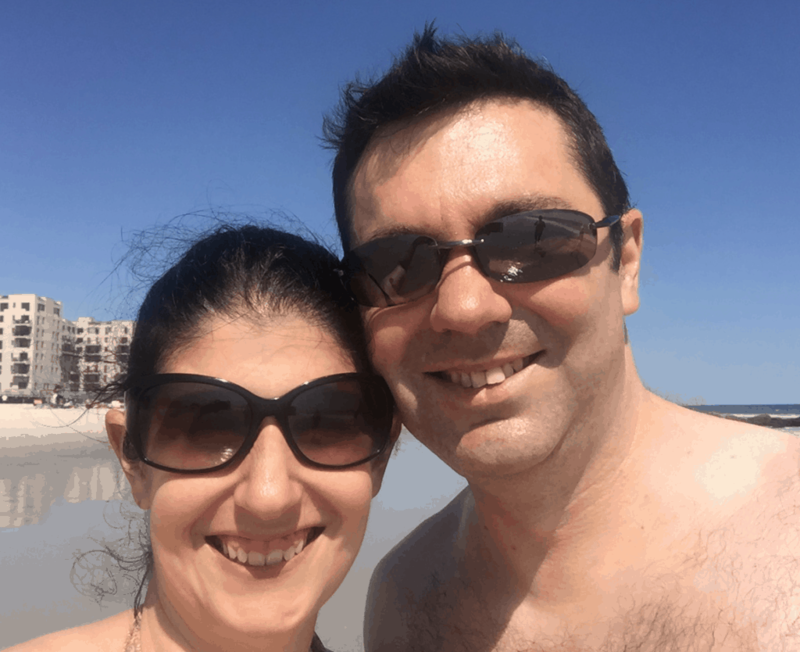 No one has told me a story of visiting a beach here before and I love that idea – a refreshing change from the hustle and bustle of the big City! I will take notes from this piece when I visit so thank you! Angie – Summer is definitely my favorite time in NYC so good choice! Its nice to walk around and explore the city too without lugging all the winter gear. Yeah, would be nice if it was free! And yes luckily NY has good public transportation. Not many other US cities that do. Lydia – Yeah I wasn’t used to it either but here there are several beaches that charge. 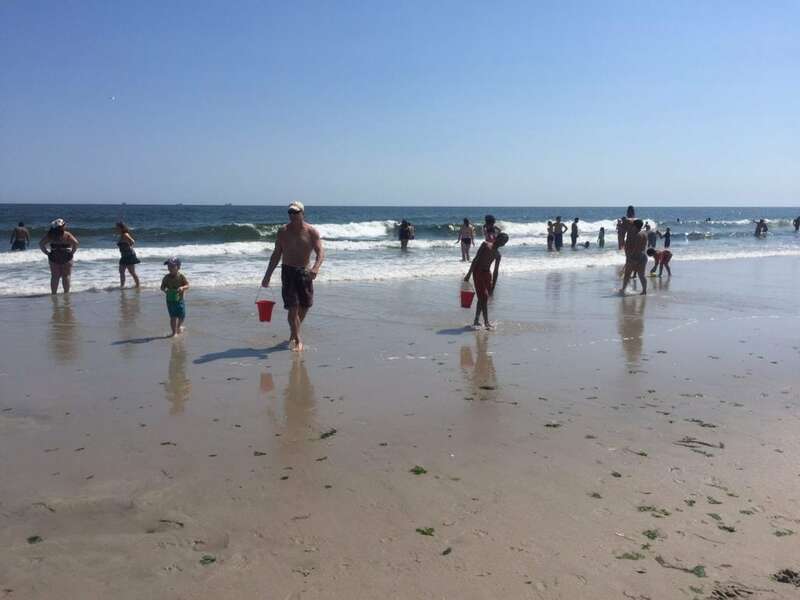 I am not sure I understand how they can charge people to go to the beach but it looks like there is plenty to do and it must be a great place to get away from all the hustle and bustle of NYC! Yeah, the fact that they charge is annoying but it is not unheard of here. It is a nice getaway though. Lolo – Yes I wish the US was more relaxed about alcohol! It’s nice that you can carry drinks in Vegas. In NYC though they are very strict about it in some areas. I’ve never been to Long Island, although I’ve been to NYC a couple of times. It seems to be quite a posh area. I’m not a fan of cold water either =S I went swimming once in 14degC water (about 57degF) with an 8mm wetsuit on (actually it was two 4mm wetsuits layered over each other) and it was barely tolerable! But it’s still better than no beach at all, for sure. I wonder why they charge people just for being at the beach – this is the first time I’ve heard of that! Michelle – Yes it is nice to have a beach nearby even if it is cold water. As far as charging for the beach goes Long Beach is not unique in this area. I guess they charge it because they can? So, they charge for a public beach? Or, is it like in many places in Europe that are a mix of pay and no pay? 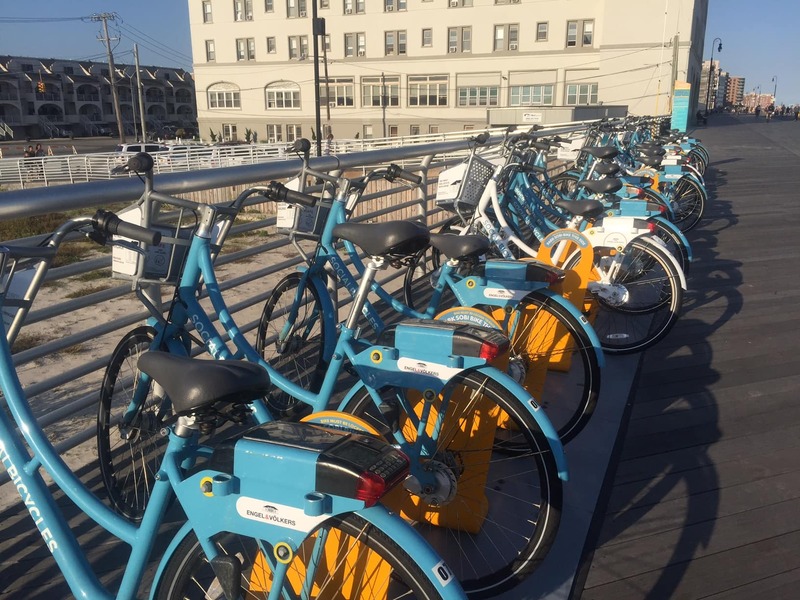 Arnie – Yes, they do charge for Long Beach and some other public beaches but not all. I guess it is up to each town to decide? I have friends in Long Beach, so I’ve spent time in town though I’ve never been to the beach there! My favorite definitely has to be Montauk, even though it’s a lot farther from the city. Try going there after Labor Day, when the water is warmer, and there are far less people! I also really like the Rockaways – Jacob Riis has a fun beach bazaar during the summer! Thanks for the great info on Long Beach!! Thanks Eva. Yes Montauk is beautiful, I will have to try it later in the season. And yes I need to check out the Rockaways! I haven’t been to that beach on Long Island in ages! Last time I went it looks quite sad, it was raining. You had better luck with the weather. Thanks Anda! We were really lucky, couldn’t have asked for better weather! I’ve never been to a NYC beach – I think the pros outweigh the cons! Courtney – Thanks, I agree! This looks beautiful! Will definetly have to check it out if I ever find myself in the NYC area! I actually never knew it was so close to NYC! Thanks Sophia. I hope you make it out to NYC! I’ve actually never spent anytime here – but now that I have your tips, it will be easy to navigate! Thanks so much Nicki. Hope you make out to NYC soon, would be great to see you! Long beach seems like a nice spot. Paying $15 just to access the beach is unusual for me, it’s better to take the package and save money on it! Thanks for the tip! Yes! I wish I had known about it before I went! Last time I went to NYC was 8 years ago and during winter, so definitely haven’t been here. Thanks for sharing your experience. I am liking that boardwalk! Looks like it could be a very relaxing and romantic stroll. Mahdi – Agree winter is not the best time for a NYC beach. 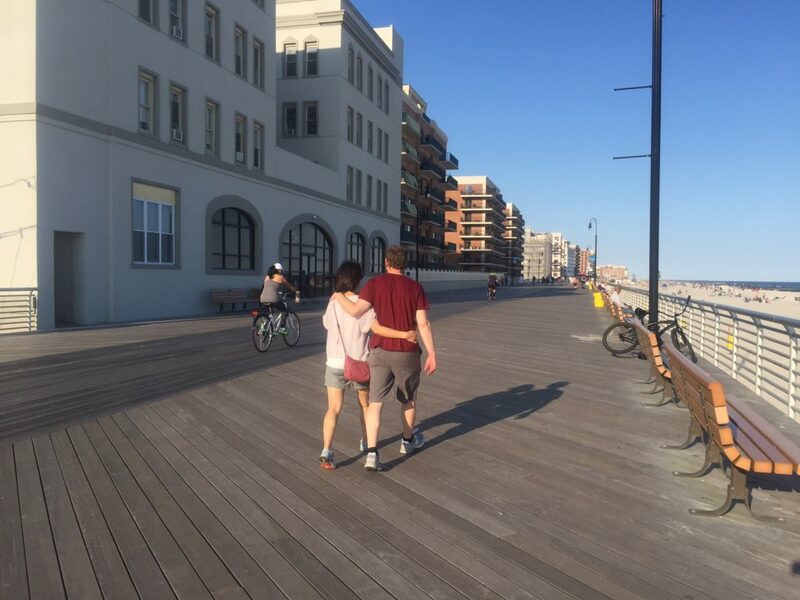 Yeah, I liked the boardwalk too. It was nice to take a walk and the benches were great for people watching! Thanks Kari – Yes no comparison, beaches in Costa Rica are better, but when we don’t have time for a trip its a nice option. I would have liked to visit Long Island when I was in NYC, but I was there in January. I have never ever heard of being charged to go to a beach though – is that common in the US? I’m pleased you told me – I’ll know for next time. Any free admission beaches nearby?!!! I think it depends on the area as to whether or not it is common. Here I know the beaches on fire island are free. Also, Sandy Hook (which I wrote a blog post about last summer). Great tips especially about the railroad combo pass. I went there years ago with my aunt and cousins. Still looks nice, but water way too cold for this gal! Sally – Thanks! I’m with you on the water but yeah its a nice place to relax. I can’t believe that you have to pay to go to the beach let alone $15! I would love to visit Long Island to see what all the hype is but not sure I would worry about stepping on the sand. Yeah I was surprised it was so expensive but if you get the package its not bad. Its nice to be able to visit a beach thats easy to get to. Yes, its too bad you have to pay but it is a nice and easy summer escape. Never thought about day trips when visiting NYC, looks like there’s lots to do. Interesting they charge I’ve never heard of this for going onto a beach! Yeah there are actually lots of great day trips from NYC. In the summer, beaches. In the fall, the Hudson Valley is really beautiful with the fall foliage. I have never visited the beaches near New York City. The sand looks wonderful and it’s always fun to find sea shells. Thank you for the detailed description on how to get there as I am not accustomed to urban areas. Thank you for sharing your lovely photos! Michelle – Thanks for your comment. The sand was really nice and it is not too difficult to get to. Makes it a get place for a mini getaway. Cold water or not, it looked gorgeous – I’m so jealous of you in NYC! Thanks so much Sarah! Come visit sometime! I live 10 minutes from here, and the cost is the big deterrant. $15 per person means $30 for our family we can go to Pt Lookout or Lido for $10 for the whole car. I do love walking on the boardwalk, or running or biking. Also I am all over this beach in June or Sept before or after they start charging. Harmony – Yeah it really is too bad they charge so much because the beach is really nice. That is smart to go in June or September, I didn’t think about it being free then.